Everyone should spend a night at the opera at least once; attending a performance is a beautiful experience but can be intimidating if you’re a newbie. 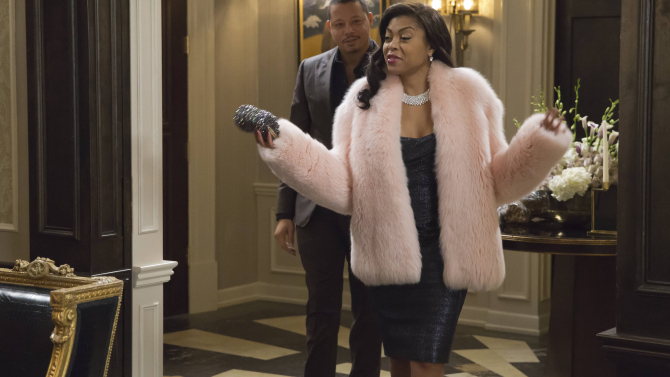 Whether it’s your first time or 50th time, take these tips from Empire‘s Cookie Lyon. Dress to impress. One shouldn’t attend the opera wearing any old thing. To fit in, make sure your outfit is louder than the music. Think tight, bright and short. A low-cut dress with a high hemline is just right. If you can bend over without revealing your undies, it’s too long. Don’t forget the accessories and makeup. Gigantic hoop earrings and glittery eyeshadow will add just the right touch. Mingle. The opera experience isn’t limited to the actual performance. Attendees usually gather in the lounge area for champagne and small talk. You might chat about where you summer: the Hamptons, Martha’s Vineyard or the Danbury Federal Correctional Facility for Women. Bottoms up. Don’t feel limited to champagne during the mingling. If there is a full bar, grab yourself a 40! Show your appreciation. Do not hold your applause for the end. Forget about “Bravo!” The performers love it when you jump up in the middle of an aria and holler your approval. Don’t worry about the language. You don’t need to know Italian to appreciate Pagliacci. The drama and emotion on stage will translate. Even people who don’t speak your language will get the gist. If, for example, you say something like, “I’ve got a charity for you: Make a Wish. You know that one? Once I get finished whupping both of y’all asses, you gonna wish you never met a hood rat like me,” everyone will follow along. Empire airs on Wednesdays at 9/8c on Fox. The next episode will air after the World Series.